Not sure i like the one molded plastic piece but the rest sounds great. Gees, they could have done something more with the looks, I prefer the 701. Did they hide that dog ugly exhaust down left side ? Try again. MCN site was down for a bit ansd the pics took a while to recover. I would like the KTM front to middle with the Husky's rear end. The huskey's rear looks better but the front to me looks cheap. Otherwise it's pretty much different paint really. That bike looks small, unless the rider is a hell of a big bloke. Maybe a 390 Enduro/SM version? I guess at this stage it will be pre production ? So is this an orange 701 or a brand new 690 model ? The 701 is a white 690, then the 690 got a slightly modified engine for smoothness and emissions but they put it in the Duke first, then the 701's got that engine and they added different shocks and minus some rev counters and lights then, now the 690 is putting their Duke engine, the one they gave to the 701's in the 690 Enduro with the shocks from the Husky. It's 95% the same bikes. Why the 690 when soon they launch the new 800 twin. Would be great if they launched it with an adventure model. Front rally style tanks and small fairing and better seat. Most probably because single will always going to be better than twin for more technical offroad. Twins are primarily travel bikes. Because they are completely different bikes. 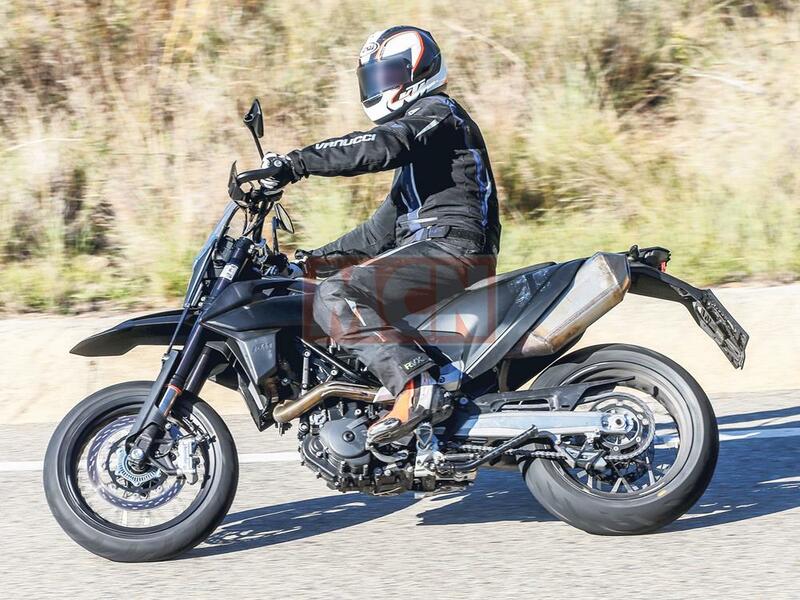 The 690 weighs 148kg. The 790 will be 200kgs or so. 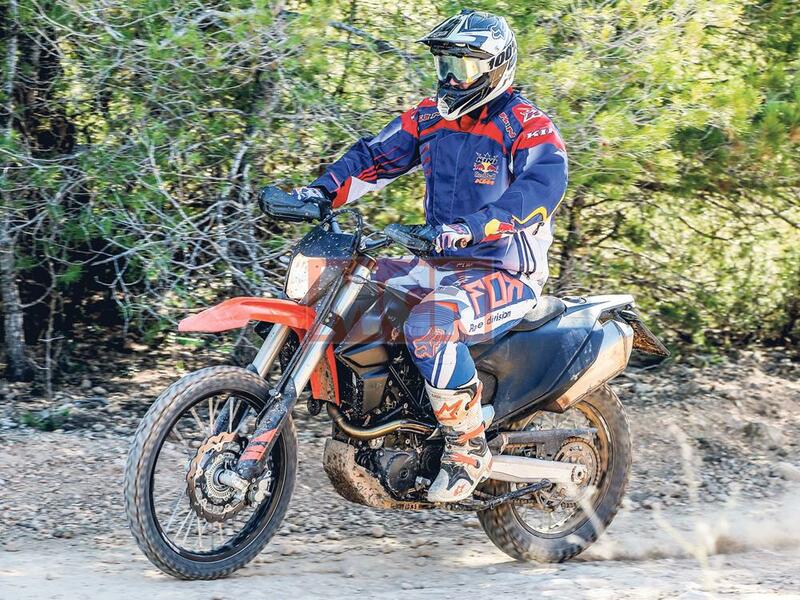 The 690 will outperform the 790 in tougher trails, it will be cheaper as well.